Forum Home » Off Topic » Got something you want to talk about. Quote Reply Topic: westcoastfieros.com email is broken? it was intended. .... or if the matter has been resolved. Yes it is having an issue, and it will be resolved in 24hrs. This also affects my personal email, so I can't get any email at this time. 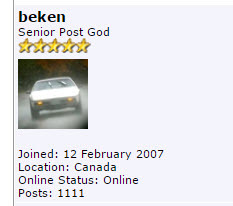 Feel free to use my really old hotrodfiero@shaw.ca account.